Grace your bedroom with the Emilie Poster Bed and transform your decor into an elegant, traditional boudoir. 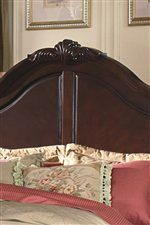 The headboard and footboard showcases raised panels and sensuous curves and flowing form while the scalloped pediment embellishment create a focal emphasis in your decor. 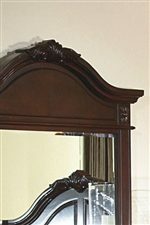 Comfortably, sit up against the tall headboard at night and read a novel or watch the evening news before achieving a good night's sleep. 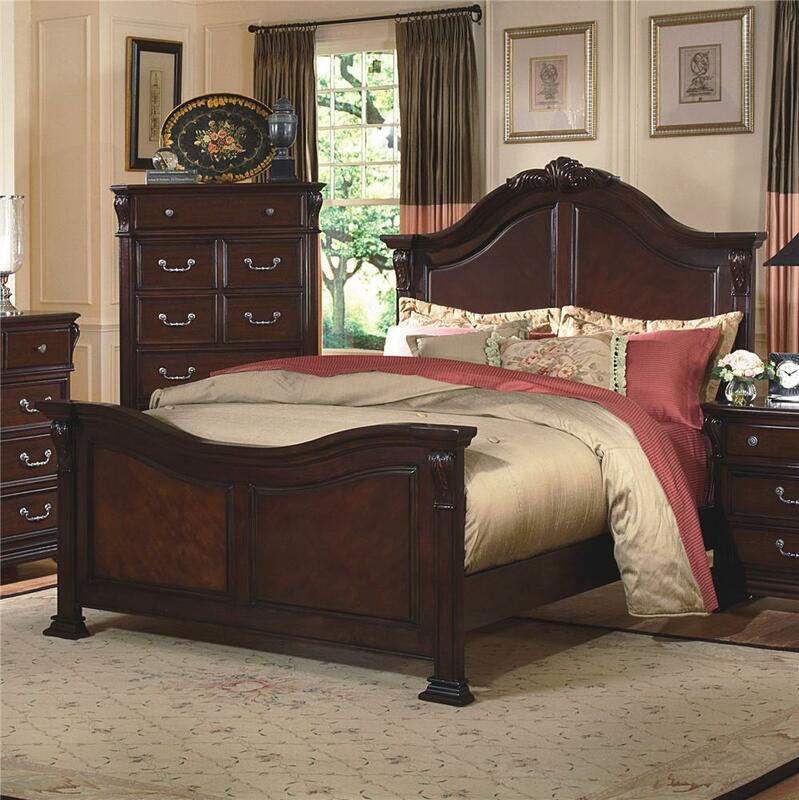 Rails and slats provide support and comfort for a luxurious experience in this poster bed. This bed is available in queen, king, and California king sizes. The Emilie California King Poster Bed with Embellishment by New Classic at Michael's Furniture Warehouse in the San Fernando & Los Angeles area. Product availability may vary. Contact us for the most current availability on this product. 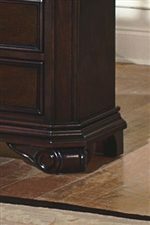 1841-220 WK Footboard 1 79" 4" 32"
1841-210 WK Headboard 1 79" 4" 66"
1841-230 WK Rails and Slats 1 1" 85" 6"
Bed Construction Constructed of select veneers and solids for durability.